Higher lumber prices have added nearly $9,000 to the price of a new single-family home since January 2017. 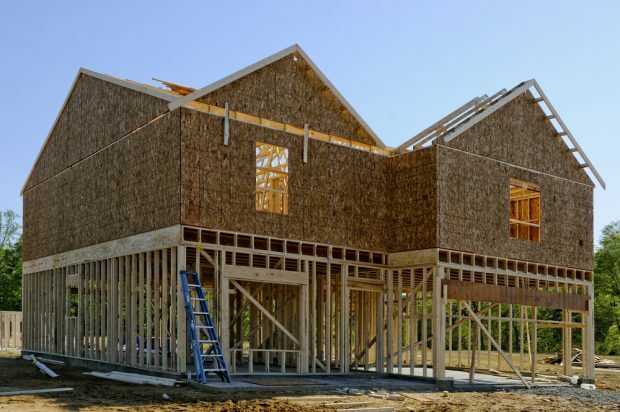 Sentiment among U.S. homebuilders fell in June to match the lowest level this year, reflecting sharply elevated lumber costs, according to a report Monday from the National Association of Home Builders/Wells Fargo. Housing Market Index declined to 68 (est. 70) from 70 in May Gauge of six-month sales outlook fell to 76, lowest since November, from 77. Current-sales measure for single-family homes decreased to 75 from 76; gauge of prospective buyer traffic cooled to seven-month low of 50, from 51. Tariffs on lumber and other imported materials are making construction more expensive, which in turn limits affordability for prospective buyers, according to the NAHB. Higher lumber prices have added nearly $9,000 to the price of a new single-family home since January 2017, the Washington-based group said. Lumber prices rose to a record in May.